58-year-old Donald Ryding from Merseyside, England told his wife Julie he quit smoking last year he promised her he would after he suffered a heart attack. But he lied. He would still go outside and smoke in their driveway. He might have gotten away with it, if it wasn't for Google Street View. 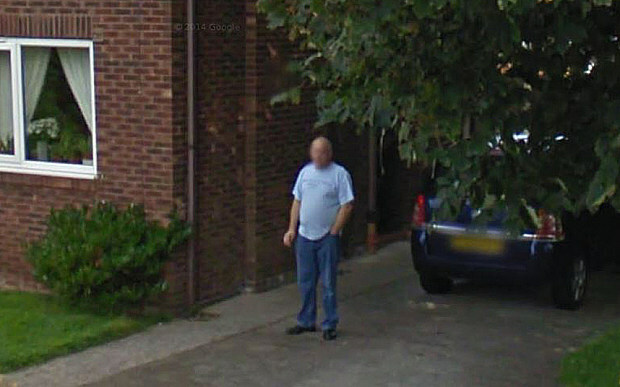 Donald was outside smoking when the Google mapping car drove by, and took a picture of him in front of the house. Then when Julie checked out their place on Google Street View later that week, she busted him. Even though it was hard to see the cigarette in his hand, she knew what he was doing. Donald says he's actually cut back since he got caught lying.